Eat Better. Feel Better. It’s Our Mantra. Our Nutritious Food and Smoothies are Fueling Healthy Growth. The huge demand for healthier food choices drives business to our doors. 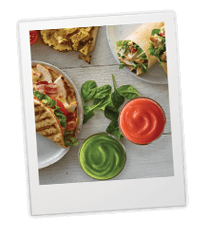 But what keeps people coming back again and again is what we call the Tropical Smoothie Cafe experience. It’s our unique mix of delicious food, fun, friendly service, and an atmosphere that appeals to people of all ages. Because we have a balanced business mix of food and smoothies, you have more revenue streams throughout the day. Plus, our varied product offerings means you don’t have to rely on a single product for sales, boosting our average ticket to $8.75/person. What we serve is equally as appealing as our numbers. Our food is fresh and delicious, and our food prep is clean and simple. There’s no baking, fryers, or hoods—just high powered blenders and a convection oven. It’s a better environment to work in and can help you attract and retain a higher-quality staff. Because our Cafes are easier to operate, you can use your skills to connect with your customers and mentor a staff that’s young, high-energy, and passionate about the brand. 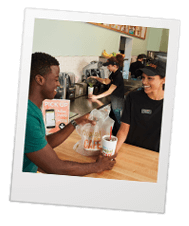 We are looking for Franchise Owners that are passionate about solid relationships, creative spirit, playing to win and living better—these are the core values of Tropical Smoothie Cafe. 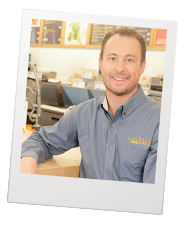 If you believe in “Eat Better – Feel Better” and in providing a great product delivered with exceptional customer service, we may be a fit for you. While restaurant experience is not necessary in our franchise system, business experience is. 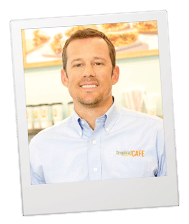 We require $125,000 in liquid assets and a net worth of $350,000 in order to apply for a Tropical Smoothie Cafe franchise. *Top 50% of Cafes. Based on calendar year 2017, 93 of 243, or 38%, of the Cafes gained or surpassed this sales level. This information appears in Item 19 of our Franchise Disclosure Document. Your results may differ. There is no assurance that you will do as well. 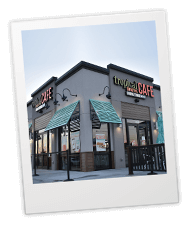 Tropical Smoothie Cafe is currently accepting inquiries from the following states: Wyoming, West Virginia, Wisconsin, Washington, Vermont, Utah, Texas, Tennessee, South Dakota, South Carolina, Rhode Island, Pennsylvania, Oregon, Oklahoma, Ohio, New York, New Mexico, New Jersey, New Hampshire, Nebraska, North Dakota, North Carolina, Montana, Mississippi, Missouri, Minnesota, Michigan, Maine, Maryland, Massachusetts, Louisiana, Kentucky, Kansas, Indiana, Illinois, Idaho, Iowa, Hawaii, Georgia, Delaware, Washington, D.C., Connecticut, Colorado, California, Arizona, Arkansas, Alabama, Alaska.